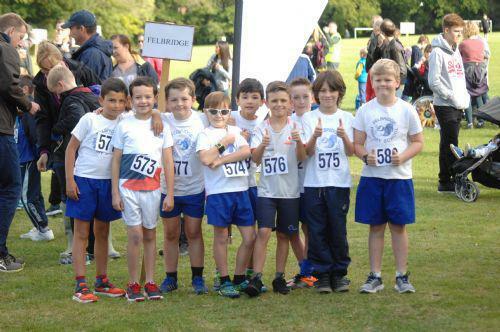 Last Sunday 12 girls and 9 boys from Felbridge took part in the East Grinstead Athletic Club's Schools Cross Country Race, running a distance of 2400m at East Court. The weather was ideal and all our children performed extremely well. Our first girl home was Erin Thompson in 24th place out of a total of 115 competitors with a time of 11:18 minutes; she was closely followed by Jessica Wilson in 25th place with a time of 11:19 minutes. Our first boy to complete the course was Fletcher Henderson in 71st place out of a total of 168 competitors with a time of 11:11 minutes. 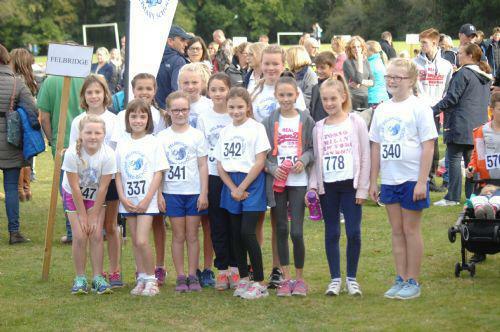 Very well done to all those children who took part: Chloe Lacey, Isabelle Turner, Jessica Wilson, Millie Wilson, Freya Bradstock, Daisy Titchener, Lyla Henderson, Grace Mewse, Annabel Bornati-Jones, Erin Thompson, Lia Harding, Mia Willett, Jude Foster, Fraser Turner, Finn Devery, Starsky Gualtieri, Fletcher Henderson, Kamdyn Bunting, Nathan McKee, Rhys Harding and Hugo Allessie-Rueda. With some very young members of the team, we look forward to their future performances!